Employee Engagement: How will you leave your organization? 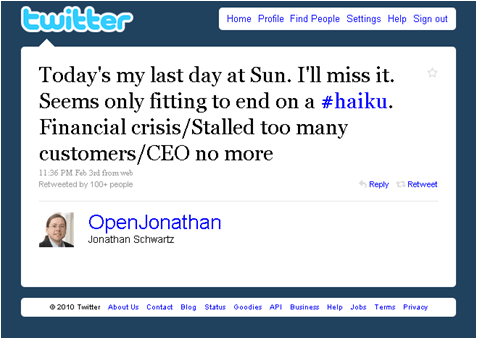 Check out the tweet from Jonathan Schwartz when he disengaged from Sun Microsystems, Inc.
A Wholly Owned Subsidiary of Oracle Corporation. Will you have a a tweet way of leaving your organization?